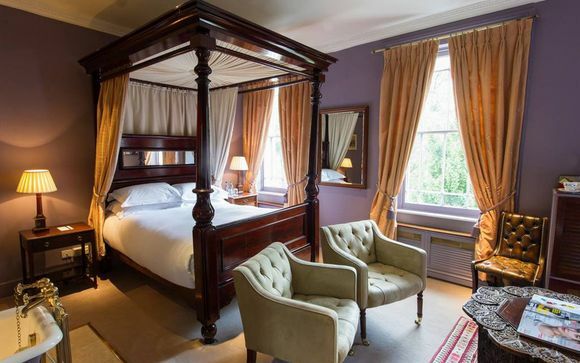 This historical hotel is located in Notting Hill, one of London's trendiest areas. 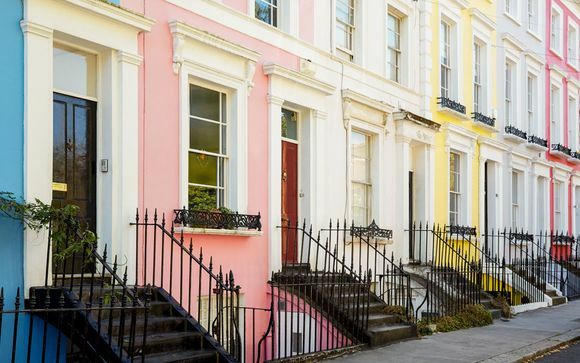 A haven of culture over the years, Notting Hill is known for its breezy atmosphere, its famous market and of course the annual Notting Hill Carnival - one of London's busiest and most celebrated events - a bustling, bouncing testament to the capital's multiculturalism. Portobello is really several markets in one, Saturday being the day when all are in full swing. Then you can experience a mile of hustle, haggle, colour and energy. The feature of Saturdays is the opening of hundreds of antique and specialist shops and stalls. There are some talented and bizarre street performers to be spotted too. Every year millions of Londoners and tourists visit Kensington Gardens, one of the capital's eight Royal Parks. Kensington Palace, the Italian Gardens, Albert Memorial, Peter Pan Statue and the Serpentine Gallery are all located within its 242 acres. 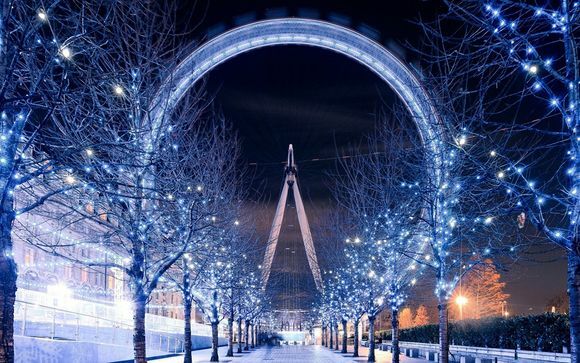 Planted with formal avenues of magnificent trees and ornamental flower beds, the gardens are also home to the popular Diana, Princess of Wales Memorial Playground. 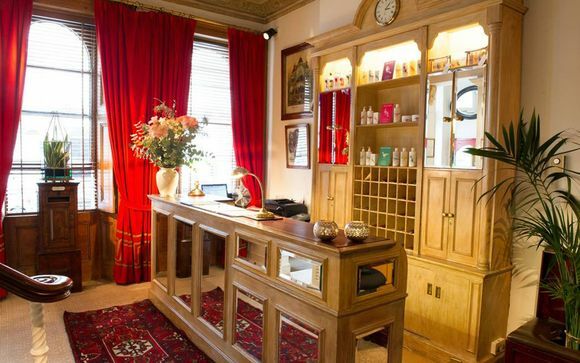 Located on a quiet street in the centre of West London’s Notting Hill, famed for its eclectic spirit and eccentric charm, The Portobello Hotel is two converted neo-classical mansions with 21 bedrooms. One of London’s most well-known boutique hotels, it was founded in 1971 and ever since has been THE hotel for those in the know from the world of music, show business and fashion. It has hosted many famous faces over the years. Celebrity guests are part of the lure at The Portobello Hotel... Legend has it then-couple Johnny Depp and Kate Moss bathed in Champagne here (it’s a rumour that won’t die, even though he’s denied it). Great Rooms are larger rooms with a king size bed and views onto the garden. Some with four poster beds, others with open baths or wonderfully high ceilings, no two Great Rooms are alike but all are equally special. 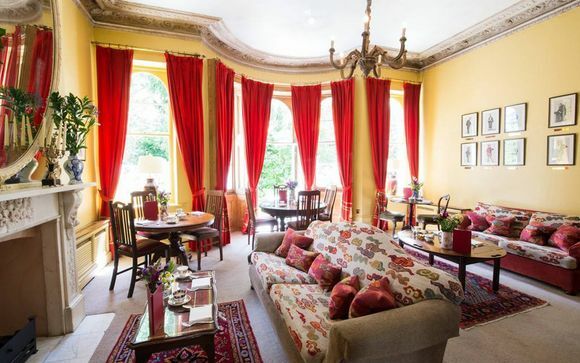 Continental Breakfast, served in the Sitting Room, is complimentary with your stay and includes a selection of fresh fruit juice, tea, coffee, cereal, pastries, yoghurt, meats and cheeses. A cooked breakfast menu is also available for an additional cost. In the afternoon and evening, the Sitting Room becomes a place to relax with a drink and enjoy the views over the private gardens. There is a light snack menu to accompany a selection of wine, beer and spirits from the well-stocked honesty bar.